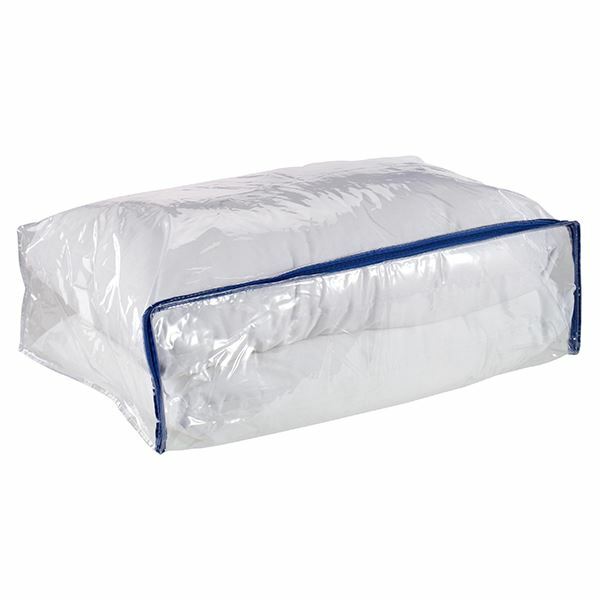 Now you can store your spare pillows and blankets in these new PEVA zipped bags. Keeping everything clean, neat and tidy has never been easier with its three sided zip, easy view clear PEVA and generous. New ventilation holes allow contents to 'breathe'. one of the zips broke on it's first use - Out of Eden - The Storage Bag with a broken zip has been replaced for our customer.